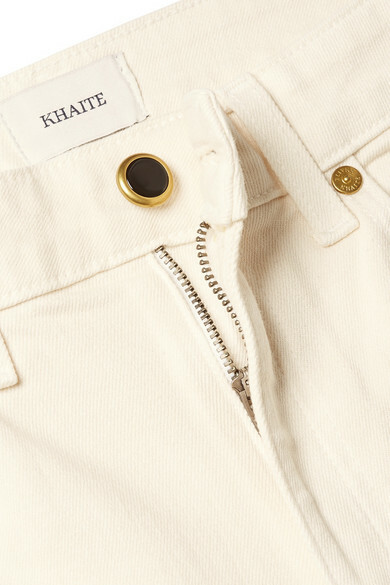 Catherine Holstein was inspired to launch Khaite out of a desire to recreate the most beloved pieces from her own closet, including her favorite jeans from the '90s. 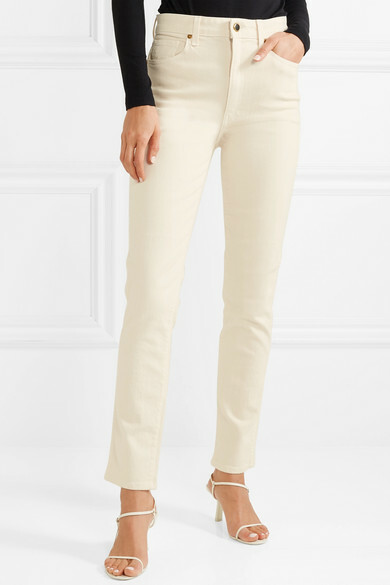 This 'Vanessa' pair is made from Japanese denim and designed with a flattering high waist and slim-leg silhouette. 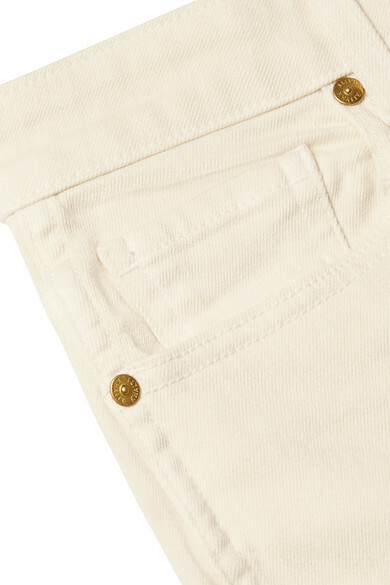 The soft ivory hue is ideal for tonal dressing - try teaming them with beige sweaters or off-white shirting. Shown here with: Joseph Sweater, REJINA PYO Bucket bag, The Row Sandals, Anderson's Belt, Monica Vinader Earrings.